A beautiful story about a girl and a young fox cub. Clare has lived her whole life on a farm, but she’s never seen a fox… until she finds a tiny, injured cub who’s lost his mum. 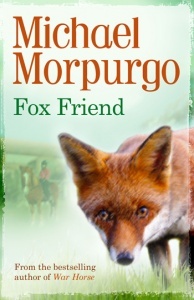 Clare cares for him herself, but has to keep him hidden from her father, who thinks foxes are vermin. Can she keep the cub safe? A beautifully crafted story by the former Children's Laureate and author of War Horse.